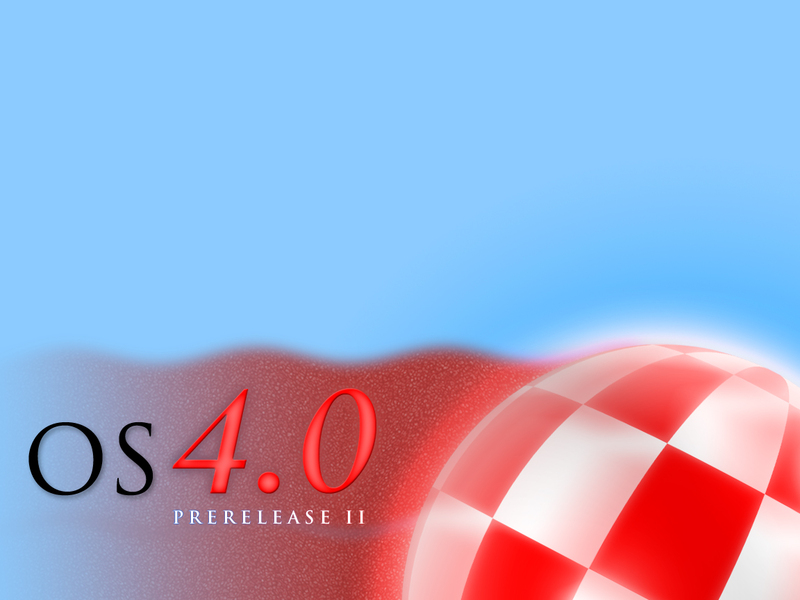 Description: Just a little backdrop I made for my AmigaOne. Hope you like it and I might redo it later. Not 100% done yet. Thanks! Might dabble a bit more on in tonite..
Looks exquisite. Resized in ImageeFX and is looks amazing. Keep'em coming, quit your day job if you must . Maybe a bit too much "light blue", BUT really nice ! - AOS has been ported to ex-86 ! It's called AROS and WinUAE... Or E-UAE on Linux ! 512MB Ram / 200GB and 80GB HardDisks on Sii0680. Jerry, tell you what: I'll make some different versions and put online on one of my websites. I suppose you haven't got a screenshot of your desktop with this backdrop to submit to AW? Thanks. And I do have a screenshot but it's nothing special yet. And I am enjoying the uA1-C immensely so! Really nice. One of the best backdrops for OS4 I've seen so far... Two suggestions. Could you make one version thats a little bit more generic, that is Without the prerelease II text? Perhaps just 'OS4', 'Amiga OS4' or even just 'Amiga OS'. Also I think, perhaps the checkered ball is'nt checkered enough... The original boing-ball had 8 checkered rows i think.. Thanks. Yeah I can easily do those. Does anyone have the "Amiga" logo with the red dot over the i or do I have to manually make it? The ball should be correct from those I've studied. Done in Lightwave.. But I'll check (no pun intended). It's not perfect, feel free to alter it. Nah, I've never done a single icon in my life.. I've made a little website for the wallpapers I'll be doing and there's a little info about my amiga's, and it will be updated as soon as I've made some new stuff. Nice website, nicer wallpaper, nicest A1 tower! Keep up the good work Englyst. Lovely rendering every time you "release" something. What program are you using ? Last edited by Manu on 13-Apr-2005 at 11:57 AM. _VERY_ professional job done here! I think this is the best corporate looking Boing desktop I've ever seen!